Bob Ferry is widely known in the New York area for his advanced technique, melodic phrasing, and creative modern approach to the guitar. 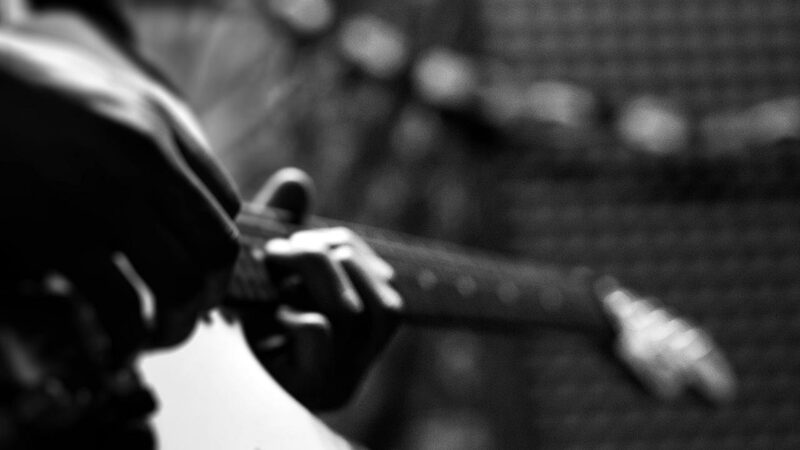 Bob is in demand for his extensive repertoire and his ability to play any style fluently. As a veteran musician at the top of his game, Bob has a lifetime of experience that includes not only Broadway shows but the concert stage playing Rock, Funk, Fusion, R&B, Latin, and Jazz. Bob has always been passionate about writing, recording, producing great music, and teaching enthusiastic students. Bob is a graduate of the Berklee College of Music and was a student of the renowned guitar educator William G. Leavitt. Bob Ferry can be heard on Believe In Me through his modern collaboration with producer Bob Miller. Believe In Me showcases Bob’s virtuosity in unique cross-genre arrangements that please the body as well as the soul. As a composer, Bob is interested in the fusion of musical styles with a world view that results in original 21st century music. Believe In Me is available on iTunes. In addition to his freelance work as a performer, studio session player, and educator, Bob currently performs with Bob Ferry and The Ferrymen. Bob also continues to work and perform with various groups throughout the New York area. For information on availability and scheduling, contact Bob Ferry. Bob Ferry is available for private guitar lessons. All skill levels are taught and each student is evaluated to design a plan of personal instruction that aligns with the goals of the student. Bob Ferry’s Superimposition of Fingerings for Guitar is used as a fundamental component of guitar instruction and this enables the student to gain an absolute understanding of the fretboard and the art of note selection as it applies to any style of music. For students with an interest in a music career, Bob Ferry offers a special college preparatory course that has been proven to help students perform successful auditions, ace music theory tests, and ace music reading placement tests. Bob has helped students be accepted at Berklee College of Music, The University of the Arts, The Guitar Program at Musicians Institute, Rutgers, University of Miami, and more. Bob Ferry is available for performances, instruction, clinics, consultation, and recording sessions. For further information, availability, or to schedule an event, contact Bob Ferry. Many years of study and experience, including with the renowned guitar educator William G. Leavitt, have led to the development of Bob Ferry’s Superimposition of Fingerings for Guitar. 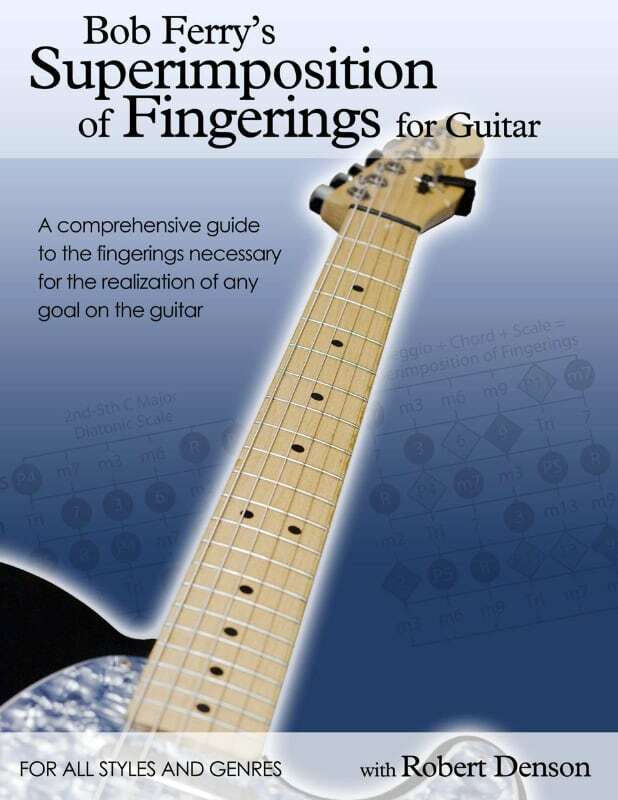 This book is a new advancement in guitar education and an innovative system for learning and organizing fingerings on the guitar fretboard through the superimposition of arpeggio, chord, and scale. This is a dream book of guitar fingerings for all genres and styles, from metal to jazz, country to rock and beyond, that demystifies the art of note selection and gives the student an absolute understanding of the guitar. Where do those notes come from? What scale is that? What is that sound? You will be able to unlock the fretboard, make informed note choices, and understand how and why your favorite guitar players make their note choices.